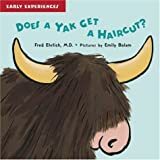 What Sound Does a Yak Make? 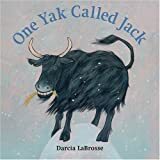 Yakety YAK - Don't Talk BACK! We are encouraging Shannon to make this amazing book available to folks all around. Like everything she does, this children's book is exquisite! She has drawn and colored all the illustrations herself and the copy she has given us is bound with yak yarn! We love to have kids visit the ranch and learn about yaks. Our favorite thing is to have the kids, or mom and dad, draw a yak on the chalk board to capture their visit.